Millennials aren’t the only generation to get a color named after them. Generation Z — those born between the mid-1990s and mid-2000s — have Gen Z yellow. And it’s going to bring a major dose of sunshine into our wardrobes. There’s no sign of millennial pink fading into the background as it continues to decorate everything from makeup to housewares and even food. As much as we love pastel pink, we have to admit we can’t devote our entire wardrobes (and lives) to one shade. That’s why lavender, kelly green, ultra violet, hot pink and sky blue have caught our attention in recent months. But Gen Z yellow is the shade many say has the potential to usurp millennial pink’s crown. 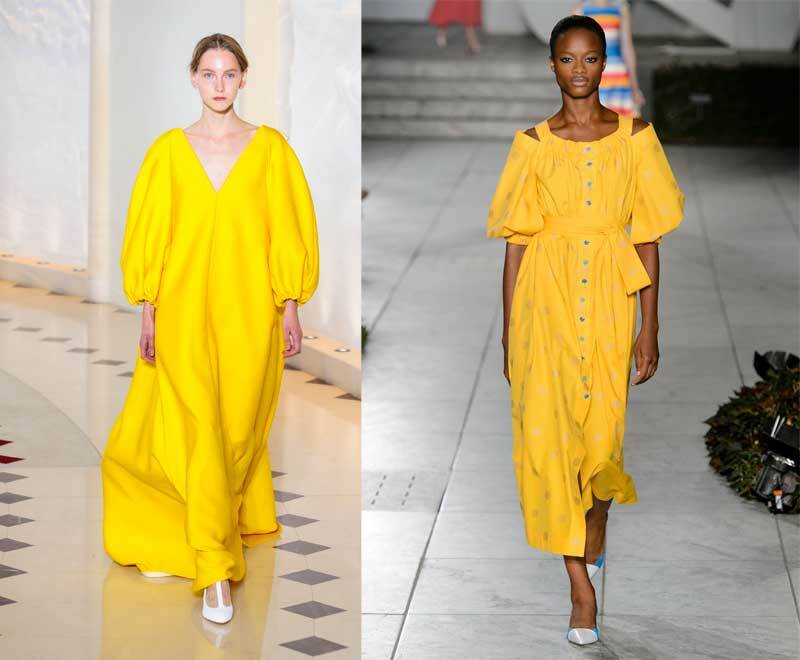 Gen Z yellow has been gaining traction on social media (of course) and it’s punctuating more red carpets and runways. At the Spring 2018 shows, it popped up at Emilia Wickstead, Jacquemus and Carolina Herrera. It’s hard not to notice considering it’s a lively, energized yellow that’s like a shot of espresso for a neutral wardrobe. Not quite as bright as neon yellow, Gen Z yellow sits somewhere between marigold and a spicy mustard yellow, making it flattering to multiple skin tones. The saturated finish lends itself well to all seasons, unlike pastel yellows that can look out of place outside of Easter. We’re all familiar with how epic millennial pink has become so get on board with Gen Z yellow now before it’s everywhere. (And keep an eye out for Generation Alpha’s color.) Ahead, shop 14 Gen Z yellow pieces that will enliven any outfit.